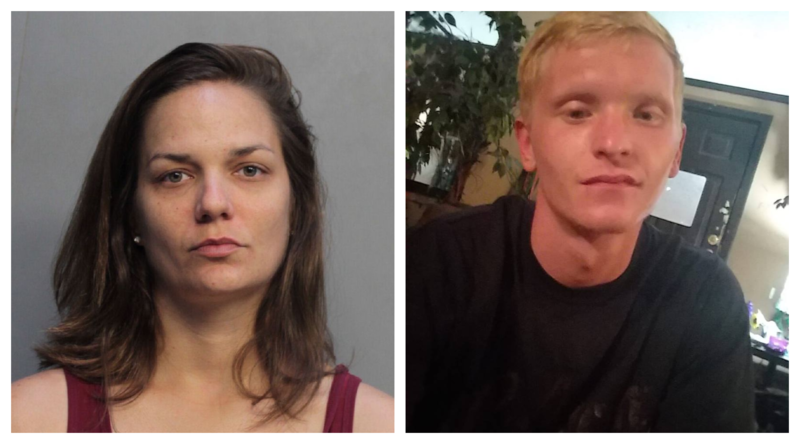 MIAMI – Authorities in south Florida arrested two people this week in connection with a double homicide in Birmingham. Kristen Gullion, 30, of Cullman and Zachary Phillips, 23, who has an Arab address were arrested Thursday and Friday, respectively. Gullion was found with a car belonging to the slain Birmingham couple, Mary and Joe Holt, who were discovered on Thursday, Aug. 2, 2018 at 8720 Ninth Court Circle South. The Tribune is working with its Birmingham news partner, WVTM 13, on this developing story. "BPD investigators received information that the Miami Police Department recovered the gray 2012 Honda Civic that belong to the victims. Miami Police also arrested a subject in that vehicle that had an unrelated outstanding arrest warrant. BPD homicide investigators are currently in Florida gathering additional information. It has not been confirmed that the subject found with the vehicle was involved in this case. No warrants have been obtained in this case." Police say the car belonging to Mary and Joe Holt, who were found dead in a home in Birmingham last week, was discovered illegally parked on South Pointe Drive in Miami Beach Thursday night. Officers arrested a 30-year-old woman from Cullman County, Kristen Gullion, and later discovered she had a warrant in Cullman County. Although originally reported to be from Decatur, Gullion stated her permanent residence is on County Road 1488 in Cullman. Phillips resides on County Road 1855 in Arab. Phillips was arrested Friday afternoon following a chase with police in Hollywood, Florida. A suspect connected to a double homicide that occurred in Birmingham, Alabama was taken into custody Friday afternoon by Hollywood Police Officers. Early Friday morning, Hollywood officers observed the stolen vehicle which the suspect was believed to be driving. The vehicle was reported stolen out of Miami Beach. Officers attempted to locate and engage the vehicle for several hours. Around 12:30 p.m. on Friday, officers utilized the department’s License Plate Readers (LPRs) and located the stolen vehicle again in the area of Sheridan and 24th Avenue. When officers attempted to stop the vehicle, the vehicle fled and ultimately crashed into parked vehicles at Dixie Highway and Roosevelt Street. A female, Vivian De La Rosa Toniana, was driving the vehicle and was taken into custody at the scene. Zachary Phillips, who had been in the passenger seat, exited the vehicle and fled on foot. Phillips was believed to be armed. A perimeter was quickly established and the SWAT Team and K9 Unit was activated. Shortly after, the K9 Unit apprehended Phillips, who was found hiding in a yard in the 2100 block of Roosevelt Street. Any further information regarding this investigation will be released through the City of Birmingham, Alabama Police Department.